What happens when Carsten Janetzky who has founded three companies and pitched almost 80 times in the last six years as a startup founder becomes a jury member to witness some investors pitches? He expects them to not repeat the most common mistakes and nail it on the stage when it comes to a perfect pitch. As the tables turn, we ask him to share some tips for investors such as Tanja Emmerling (Hightech Gründerfonds), Thomas Lueke (Cherry Ventures) and Rouven Dresselhaus (Cavalry Ventures) who will be pitching to Carsten and two fellow entrepreneurs on the panel“What is the real value in VC”at Hinterland of Things Conference 2019. Carsten Janetzky founded the Paderborn-based IoT-Startup Viveroo in 2012 after completing his degree in business administration. For two years, he devoted himself to e-commerce, when as the co-founder of Vazoo, he helped to establish a price comparison for cosmetics in Bremen. After a short creative break in Asia, he decided to go back home to OWL to help shape the newly formed startup-scene in Bielefeld. 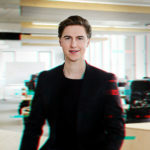 He initially started as an Entrepreneur in Residence at the Founders Foundation and helped other startups with their business ideas, before joining hands with other two co-founders to launch his third startup Zahnarzt-Helden. When you ask Carsten what he now does differently in his pitches as compared to when he just started six years back? He says it is an easy answer. “I am just more truthful while pitching than ever before. It is much easier when you have achieved certain milestones and you present a use case of what has been proven. I have a proof of concept and I don’t assume the forecasts without a firm foundation,” he says. As an entrepreneur, you need to know the difference between what is just an “idea” and what is an “idea that has a successful twist eventually”. The audience will mostly recognize if you are just talking about shallow predictions rather than what you have actually tested. Carsten says that years of experimentation has helped him realize the authenticity of proven concepts than just plain vanilla ideas. Carsten was a singer in a band before becoming an entrepreneur, so being on the stage was not new to him. He still practices numerous times and meditates before hitting the stage and recommends it to young founders. He says that while talking about a definite proof of concept really boosts the confidence one will eventually have on stage, there are some simple measures that could be taken to handle stage fright. For starters — feel the pulse of your audience before you step in to pitch! Wouldn’t it be wonderful if you could read the mind of an audience in the room? Well, you can certainly attempt to, says Carsten. Every time he is presenting a pitch, he asks the event organizers to send a list of the audience if possible so he can look at the background of some of them. Shake some hands before you go on stage. If you have VC investors in the audience, ensure you do a research on them beforehand with regards to their portfolio companies and past investments. Understand the DNA of the investors and add personal anecdotes. A pitch is not just about presenting on the stage, it’s a performance and entertainment for the audience as well. They should feel like buying your product by the end of it or at the least should recommend it to friend or two. “There are too many startups today who are not able to validate the business model and the problem case when they present. I think my best advice would be to do a lot of hard work in defining the problem and customers/target audience before the pitch- even more than the presentation. Maybe I would not have given the same advice two to three years back, but the scenario is different now. The presentation might seem good, but whenever you ask entrepreneurs a deep question- they have nothing to say,” shares Carsten. Quantify the problem for your audience in numbers so that you can demonstrate in number how relevant is the problem. Almost 80 per cent of startups concentrate on the product but it is irrelevant when there are no customers interested in the product. Carsten recalls how he has witnessed three to four startups in the recent past who had a great product but none of the customers really cared about having it. “Nothing is more powerful than what you are working on. Don’t worry about a four to five-year plan. What matters most is the willingness of your customer to pay for the product. Sometimes get quotes from potential customers who are willing to use the product and why,” he advices. Many entrepreneurs feel that pitching is a practice ground for them. It certainly is, but not when you are not ready. Founders have the tendency to jump into pitching If they feel it is an opportunity without prior planning or adequate practice. How do you really know if you should rush in the opportunity? Carsten has a simple solution: It completely depends on the audience you are asked to pitch in front of. You can pitch when you feel you will be able to answer the questions they ask. For instance, if you are pitching in Bielefeld in front of corporate innovation experts, they might focus more on innovation-related questions; while an investor might focus on business model related questions. He suggests to practice your pitch to your friends and ask them to grill you with difficult questions. One shoe does not fit all when it comes to a pitch deck so ensure you have it customized for your audiences. “When pitching to investors, have two decks at the least – one to present on the stage and one for sending out offline to them. I would also recommend that you need one which has more entertainment content – which makes three in total,” he says. Secret: We can tell you that Carsten will be most impressed by the entertainment factor if you are pitching. While you can have different pitch decks, a few aspects remain constant across. “In the deck, at the least 50 per cent attention should be given to the problem you are solving, 10-15 per cent to the solution and the rest can be divided between financial ask, team, business model etc.,” he says. Forecasts are completely uninteresting for pitch decks, in his view. If you want to share numbers, add a slide saying that you will share a business plan later if needed. 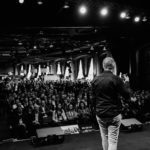 What Carsten is expecting from his panel at Hinterland of Things 2019? When the roles are reversed, the most interesting result could be to see what all investors highlight as their Unique Selling Point. Will it be their portfolio companies, their team or the experience they bring in terms of successful exits? When it comes to what will get these investors a high score, we suspect Carsten’s focus will be to judge the entertainment and performance aspect of these pitches while other jury members could choose to focus on other parameters. He leaves a little hint on where to get more ideas for a good pitch: his favorite is AirHelp pitch and of course his pitch from last years’ Hinterland of Things!